Who will you call when an emergency strikes? Although Brothers makes sure to treat every plumbing job we receive as a top level priority, emergency service requests obviously bear a bit more importance. While a clogged toilet or shower drain can definitely be a nuisance, a backed up sewer main that is spilling wastewater all over a bathroom floor is something entirely different. For these calls, there is no substitute for prompt response and professional expertise. 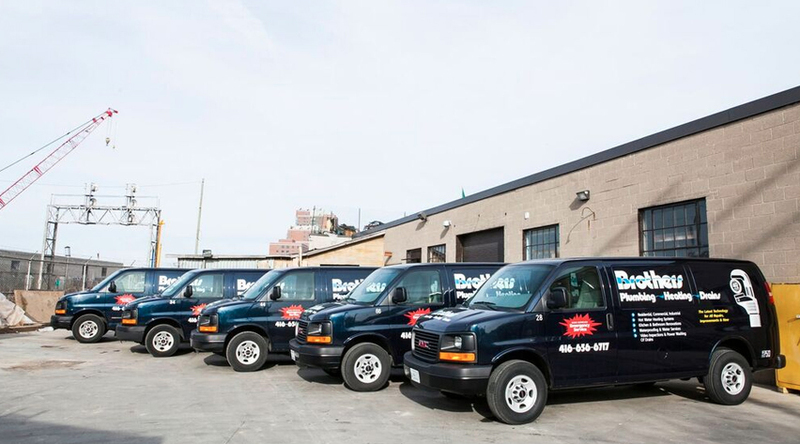 Customers in Toronto and GTA count on every day to be there when something goes wrong; it is our job to be available at a moment’s notice, which means having on-call technicians ready to dispatch at all hours of the day and night. One of the more well known aspects of Brothers Plumbing is our 7-7-7 service, but our doors are never closed for emergencies. Around the clock availability has been a staple of Brothers for four decades, and is what distinguishes our firm from many other plumbing companies that operate only within normal business hours. All we have to do is put ourselves in our customers’ shoes to appreciate the value of true 24/7 service, something which is not hard to do considering we too are homeowners just like you! There should never come a time when a client has to wait for help to arrive during a crisis situation; the Brothers’ crew is the medical personnel equivalent for your GTA residential and commercial plumbing system. Given the volume of after hours calls we receive, the only thing we ask is that you make sure the problem you are dealing with is a legitimate emergency. To facilitate the response process and ensure our team is providing service to residents who need it the most, we have provided a list of genuine emergency situations below. – this does not require any explanation. If one or more of your home or office’s water lines has burst, contact Brothers immediately. This is often the result of prolonged pipe freezing, but can occur for other reasons as well. – in line with the above problem, frozen pipes can quickly escalate from bad to worse. While bursting is not guaranteed, it is definitely not a risk you want to take. – if your building is experiencing sewage and wastewater overflow, do not waste any time phoning our emergency hotline. Main drain blockages are very severe and should always be treated as such. – sump pumps are crucial for keeping stormwater from flooding your basement or crawlspace. In the event these devices fail, it is only a matter of time before the water level rises to an unsafe level. The time to respond to that plumbing emergency is now! Call our 24/7 crew to get service within the hour.